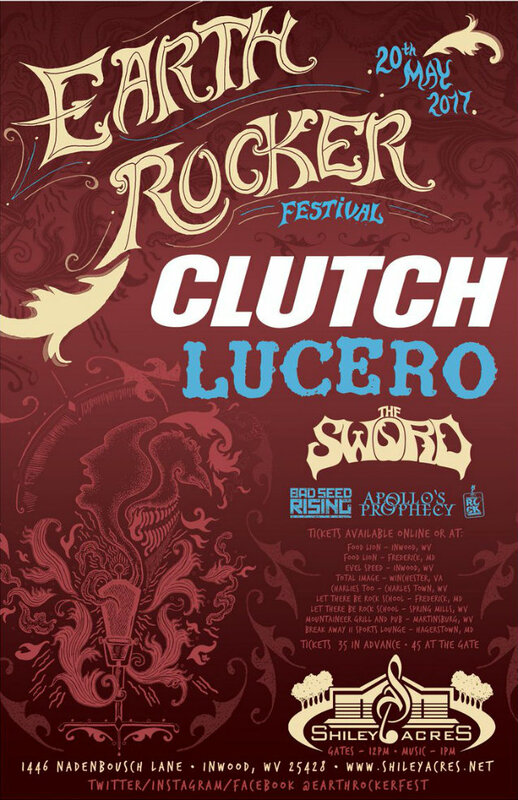 Maryland rockers CLUTCH have announced the first annual Earth Rocker Festival, set to take place on Saturday, May 20 at Shiley Acres in Inwood, West Virginia. Also featured on the bill are LUCERO, THE SWORD, BAD SEED RISING, APOLLO'S PROPHECY and the Frederick, Maryland School Of Rock band. Earth Rocker Festival is a daytime event that has the parking field opening at 9 a.m. Gates to the show open at 12 noon and music starts at 1 p.m. The festival ends at sunset with overnight camping permitted. Children under 12 are admitted free of charge. 10x10 pop-up tents and lawn chairs are allowed inside designated festival concert areas. For more information on the line up, directions, camping, on site food and beverages available, hotel accommodations and all "Things You Should Know," visit www.shileyacres.net. 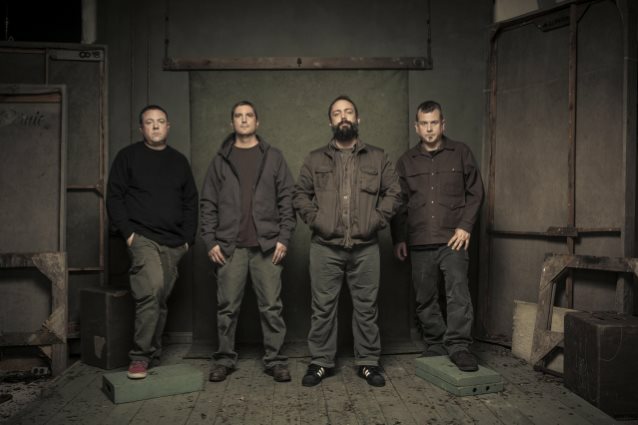 "The first annual Earth Rocker Festival takes place at Shiley Acres, in West Virginia," states CLUTCH frontman Neil Fallon. "We played at Shiley Acres last year and it was a blast. Our intent is to have a really diverse bill. If all goes as planned, Earth Rocker Festival will continue as an annual event, hopefully growing in scope over the years." Guitarist Tim Sult adds: "Enjoy the May weather in the best way possible — with a day of rock n roll in a West Virginia field!" Shiley Acres is an outdoor concert venue located in Inwood, West Virginia. For 40 years Shiley Acres has seen many local and national acts grace its stage.